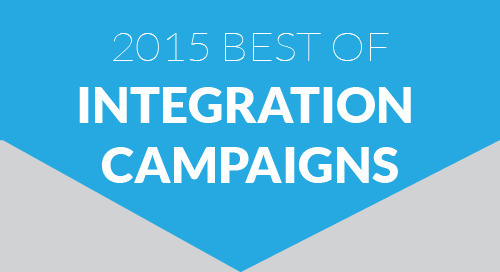 Influitive, the leading Advocate Marketing platform, is a marketer’s dream. The software helps marketers activate their most loyal fans, which in turn drives referrals and increases engagement. 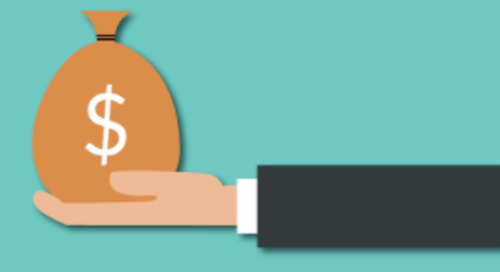 Advocacy is critical to the growth and success of companies, especially as they look to scale their customer base and increase bottom line revenue. As with any marketing technology, technical marketers are faced with the skepticism and doubt when they introduce new apps to their company to manage a business process. They pose questions such as: Do we really need it? Will it make us faster? Save money? But perhaps the more critical question they are faced in today’s expanding universe of cloud applications: will it integrate and cooperate with the rest of the technologies used by marketers? Aaron Rothschild, Director of Product Management at Influitive, led the team responsible for native integrations and has deep empathy for the marketers who are being challenged to figure out how to make it work in their ecosystem of other CRMs and automation systems. His mission: take the burden off the marketer’s shoulders to make it “work” on their own and deliver beautifully seamless integrations that they can rely on. And that’s where Cloud Elements comes in. Back in the day, integrations were often viewed as the “quick-fix” solution, where the teams purchasing new apps for their companies were responsible for figuring out their own use cases for connecting the technologies. One example of an early integration use case for Influitive: marketers would generate referral leads from their customers in Influitive’s AdvocateHub. 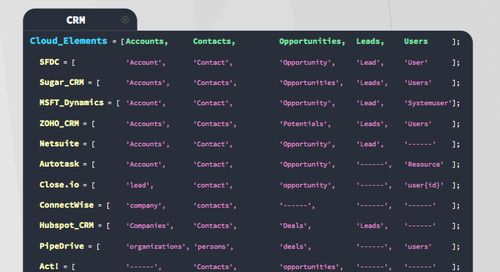 Unfortunately, leads would just sit there in the app without any response from sales. And we all know the best place to track and monitor the stage of new leads and opportunities is in a CRM. No one wanted to keep checking the status of the same activity in both places. The growing pile of requests for integrations funneled into the product development team at Influitive, signaling to Rothschild the immediate need for connectors to the leaders in marketing automation: Marketo followed by HubSpot. Mark Organ, CEO of Influitive, and Chris Newton, VP of Business Development, were onboard from the start with the product priorities. The two were very conscious of the current integration processes their customers faced, and how a more connected ecosystem would lead to increased user stickiness and reduced churn. Soon after, Rothschild’s team was assembled to focus on general integrations to Influitive, Rothschild was left to a “build or buy” decision. “You know what was the most frustrating obstacle we faced as we started to plan out our integrations?” starts, Rothschild. “After we prioritized, scoped, planned, developed, tested and deployed the first integration to a marketing automation platform (Marketo) on our own, my team quickly realized how cumbersome it was going to be to keep supporting various providers and accommodate their legacy SOAP APIs when we’re building all our new stuff using RESTful API’s. And then on top of that, we have several more apps to design and integrate.” The ongoing maintenance with a growing list of priority integrations felt insurmountable. “Once we were connected with Cloud Elements, I recognized that what my team was aiming to build had been done already” shares Rothschild. He acknowledged that by partnering with Cloud Elements there was an opportunity to save time on troubleshooting, with respect to unique languages, features, and idiosyncrasies of each new cloud service. No more SOAP APIs!! “Yeah, sure, we could create our own marketing automation integration stack, but why would we if Cloud Elements already had all the integrations we were looking for and supported what our product needed?” exclaims Rothschild. The Influitive developers saw that Cloud Elements had already developed much of architecture needed and decided to try it out. Developers are hard to please. They don’t want to hear that they “can’t do this” or “can’t keep up with this.” But at the end of the day, some useful tools and technologies prevail. “I have two great, but skeptical, senior developers. They are rarely enthusiastic about a new developer tool or application. And when the development team came back with a thumbs up for Cloud Elements, I knew we were onto something good.” The Influitive development team was really impressed with the speed of support, depth of knowledge and expertise, and their overall experience in partnership. 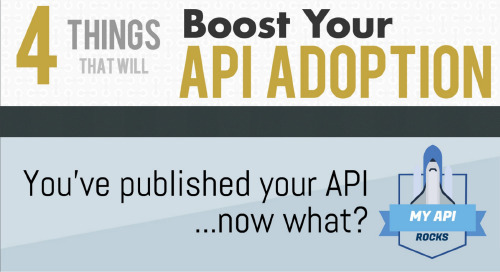 A couple key deliverables needed to come out of the API Integrations into Cloud Elements’ Marketing Hub, which were established early on – and were common across all vendors’ platforms. Next, the team created an integration library (pictured right), to market publicly on the Influitive website, as well as embed as an interactive app for users. 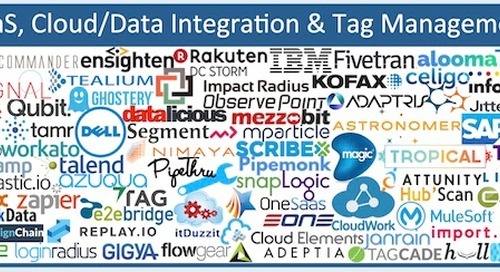 With the interactive integrations library (newly released for the general public as of April 2015), users can easily click, connect, authenticate and map their instance of Influitive to their chosen cloud service. The first app in the library was Marketo, followed by the remaining marketing apps powered by Cloud Elements: HubSpot, Salesforce, Pardot and Eloqua. Lastly, a new feature in the coming months will rely on workflows to dynamically update a contact’s list membership in the marketing platform – enabling lead scoring and targeting based on activity that happened in the AdvocateHub. “Our developers (and our users, for that matter) just wanted access to the data.” And with that data, Influitive’s development team created a data mapping user interface (pictured right) in collaboration with Cloud Elements’ new Element Mapper transformation service. Element Mapper enables developers to easily transform data objects from Influitive into the proper format for the marketing app it needs to flow into. “We came in very early on API data transformations, and it was awesome being an integral part ofthe design process with the Cloud Elements development team. We had already built the architecture to support field and object mapping, and Element Mapper let us leverage that investment easily without much effort.” Essentially Rothschild’s team uses the Cloud Elements APIs for data transformations, which are then wrapped up by Influitive’s own data mapping UI. One use case of Element Mapper in Influitive's product can be portrayed by the Eloqua Element integration. The mapping of contacts and lead objects to advocates in Influitive required a couple of fields creating new leads in the system and the lead source being set at Influitive. Additionally, segmentation is used with Element Mapper. Influitive offers the capability to create a list in Eloqua, HubSpot or Marketo based on the group in Influitive. Users can quickly map which fields map to which, when they setup the integration, and then groups dynamically populate the lists in the connected platform. 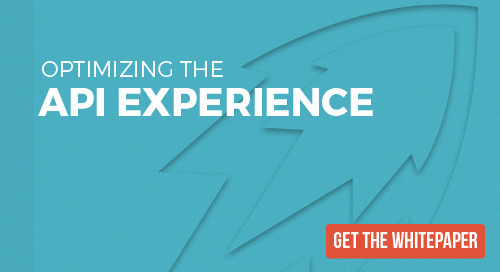 “It took us almost a month or more to create first marketing automation integration on our own. With Cloud Elements, we were moving 10x faster and released three more integrations in less than two weeks,” shares Rothschild. The key performance metric for Rothschild and his team was that Cloud Elements performed reliably well. Once the integration was rolled out with Eloqua, as the initial Proof of Concept, it was easy to determine that they could continue to move on and roll out the next connectors. 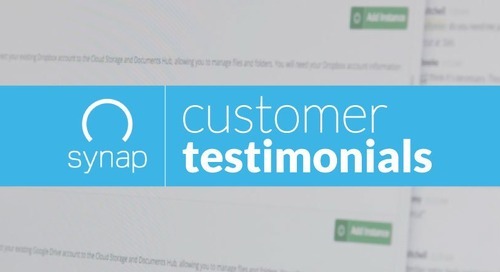 “It took us almost a month or more to create first marketing automation integration on our own. With Cloud Elements, we were moving 10x faster and released three more integrations in less than two weeks,” shares Rothschild. On top of a faster time-to-market, Influitive was able to avoid many of the risks of building it and maintained the code themselves. “We built in the assumption that something could change with each API endpoint, but now the risk, among other things, is in the hands of Cloud Elements.” And last, Ruby on Rails developers generally dislike working with SOAP. Working with Cloud Elements normalized REST APIs in magnitudes faster. 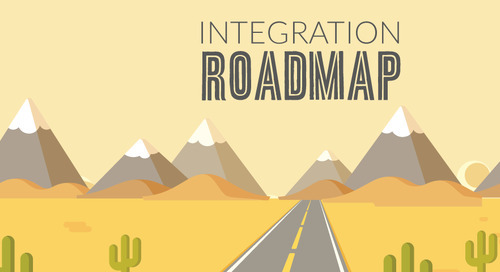 Integrations help Influitive’s customers stay on top of their programs with coordinated data and will continue to play an important role in Influitive’s roadmap. As the advocate marketing space evolves, there will be many different marketing, sales and fulfillment systems integration use cases across a disparate set of platforms that customers have already invested in. Partnering with Cloud Elements will be key not only in those point-to-point integrations, but also in the workflows to pump the system, leading to an IFTTT scenario.